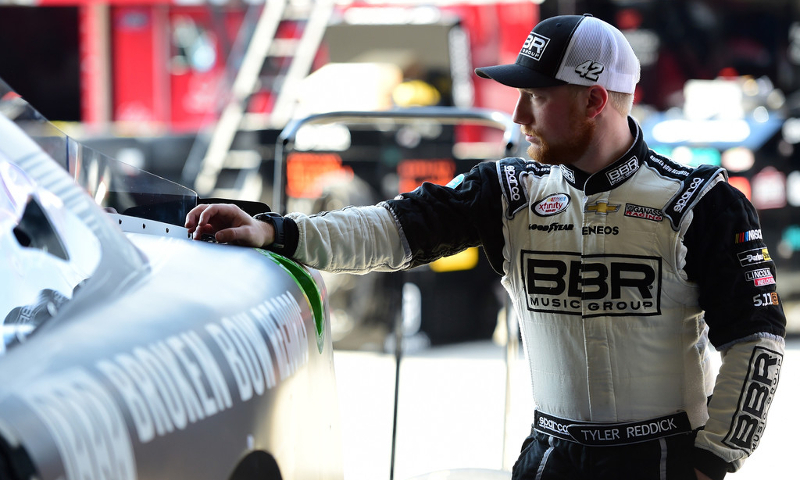 Tyler Reddick was fastest in opening XFINITY Series practice at Homestead-Miami Speedway (Jared C. Tilton/Getty Images North America photo). HOMESTEAD, Fla. — The No. 42 Chip Ganassi Racing Chevrolet is no stranger to victory lane in the XFINITY Series at Homestead-Miami Speedway. Kyle Larson scored the win in 2015 as Tyler Reddick got off to a fast start Friday afternoon, turning the quickest lap in opening practice for Saturday’s Ford EcoBoost 300. Reddick circled around the 1.5-mile track at 32.609 seconds (165.598 mph) in his No. 42 Broken Bow Records Chevrolet. The 21-year-old driver won the pole last time out at Kansas Speedway in October. Another rookie in Ben Kennedy (165.294 mph) slotted behind Reddick as both drivers went faster than 165 mph. Cole Custer (164.77 mph) was third with Christopher Bell (164.099 mph) in fourth. William Byron (163.86 mph) was fastest among the four playoffs drivers in fifth and already has a win at Homestead in the Truck Series. JR Motorsports teammates and title contenders Elliott Sadler and Justin Allgaier were 15th and 17th, respectively. Rookie Daniel Hemric was outside the top-20 in 21st in his No. 21 Poppy Bank Chevrolet. All 42 drivers made a lap in the session as the NASCAR XFINITY Series has one more practice at 5 p.m. ET (NBCSN).